Congratulations on your new baby and your decision to breastfeed while working. 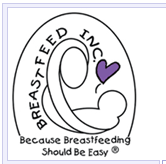 There are many advantages that breastfeeding brings to the working mother. • Your milk is custom-made for your baby. It is easy to digest and the proteins are exactly right for optimal brain growth. • Continued breastfeeding protects the baby from allergies when the introduction of solids and cow’s milk is delayed until the baby is older. 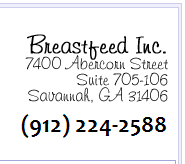 • The immune factors in your milk protect your baby from infections and other illnesses. This is especially important if the baby will be cared for in a day care center. • Many mothers are surprised at the amount of anxiety they feel when they leave their baby in the care of another person. Breastfeeding helps to overcome these anxieties by giving the mother a special tie to baby that is hers alone.